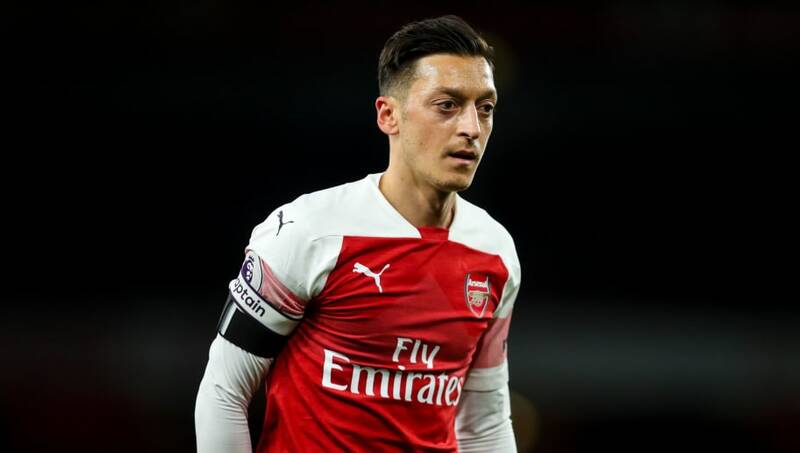 ​Arsenal head coach Unai Emery has provided a fitness update on midfielder Mesut Ozil ahead of their FA Cup third round clash with Blackpool at Bloomfield Road. The German playmaker has been sidelined for the last two matches and Emery has revealed that the midfielder did not train on ahead of Saturday's match. With the 30-year-old now set to miss the match against the League One side, it will mean Arsenal's highest paid star will have started only three of the last 13 matches for the Gunners, having last appeared away at ​Brighton on Boxing Day. A combination of a recurring back problem, illness, a lack of faith from the head coach and now a knee injury, has caused concern amongst ​Arsenal supporters, who are worried about the £350,000-a-week player's future at the club. Despite the injury to ​Ozil, Emery has indicated he intends to play a strong team to face Blackpool, as Arsenal bid to win the competition they have won more times than any other side in the competition's history. "We are going to be competitive," he added. "The priority is the next match, and that’s Blackpool. I am going to play with the players to be competitive. "If we need some young players to do one mix, but finding this power to be stronger with them, we will do it. The priority now is Blackpool." The two clubs have already met once before this season, with Arsenal running out 2-1 winners at the Emirates in the Carabao Cup round of 16, thanks to goals from Emile Smith-Rowe and Stephan Lichtsteiner.